Let’s consider a trend with Lost Films. All the films seem to make Esmeralda the main character. Every film but the 1911 version refereed to Esmeralda in the title and every film but the 1905 version had a prominent actress playing Esmeralda. Given that most of the films of Hunchback favor Quasimodo as main character would it have made a difference if the four last films were available today? Might have help a little bit considering the 1923 version was originally a star vehicle for Pricilla Dean before Lon Chaney made it his picture. That’s right I think it’s pretty much Chaney’s doing that made the role of Quasimodo the point of focus for the films. You have to really wonder if the film had been Dean’s movie would Hunchback have had the same number of films and enjoyed the some film legacy. It’s just such a interesting trajectory the focus that Hunchback films have taken, first focusing on the young and sometimes tragic Gypsy Dancer to the deformed often tragic hunchback. 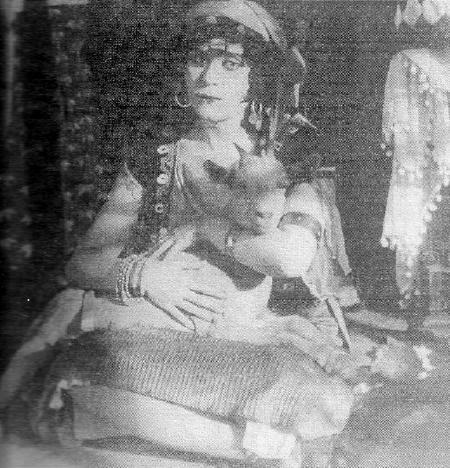 And when you consider the first four films were all Esmeralda based till Chaney changed it you have to really blame Chaney for it seeing as he had a lot to do with the 1923 version. Howver there is at least ONE existing films version is known for the actress who plays Esmeralda.